AirPlay is a feature found on iOS and Mac devices that allows users to send audio, video, photographs, screenshots and more between Apple devices sharing a similar network. Using Bluetooth and Wi-Fi, AirPlay will let a home with multiple HomePod speakers in different rooms, share the same song throughout the house. And with several smart TV manufacturers adding support for the feature, content from an iOS or Mac device can be viewable on certain large-screen smart TVs. According to SlashGear, there have been a number of complaints from iPhone and iPad users stating that AirPlay was no longer working with Netflix. That was unusual because the iOS version of the streaming video app has supported AirPlay since 2013. The complaints from iOS users state that when they tried to use AirPlay in the Netflix app, a pop-up error message appeared that said, "Cannot play title. Please try again later." But there is a reason why AirPlay no longer works with Netflix. As a result of what it is calling "technical limitations," Netflix has pulled AirPlay support from its iOS app. This is actually noted by the video streamer on its support page. Considering that this was an iOS feature that Netflix had supported for over five years, it is strange that AirPlay would all of a sudden no longer work with Netflix. The company has not divulged the details of the "technical limitations" that have forced it to stop offering AirPlay support (more on that later). This isn't the end of the world for Netflix subscribers used to employing AirPlay. After all, the Netflix app can be installed or is already installed on a number of smart television sets. But using AirPlay does make it easier for iOS users with Netflix to stream content from their own account to a smart TV that does not have their Netflix login information. 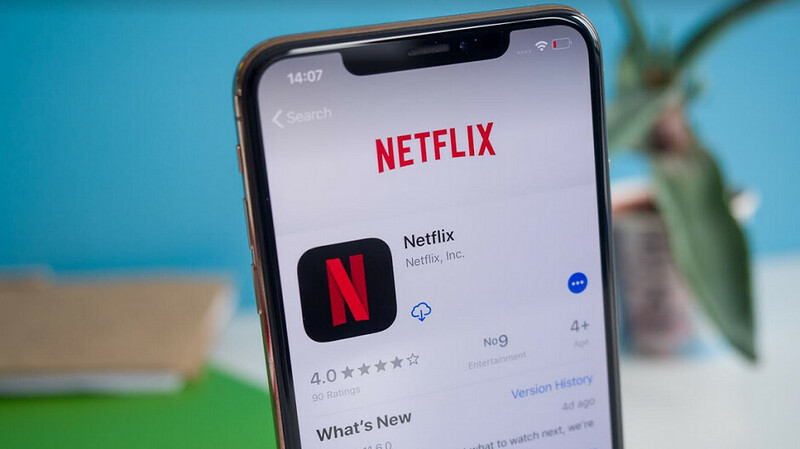 The Netflix support page lists some other options that iOS users can try in order to cast Netflix from their phone or tablet to a compatible television. With the Netflix 2nd Screen option, subscribers open the Netflix app on their iOS device and television, signing into the same account on both devices. The mobile device and the TV must share the same Wi-Fi network. On the mobile device, the user needs to tap on "Cast" found in the upper or lower right of the screen, and select the television that he/she wants to view Netflix on. After deciding which show or movie to watch, the user hits play and the selected content will appear on the TV. Another option, found on Philips, Polaroid, Sharp, Skyworth, Soniq, Sony, Toshiba, and Vizio TVs, will allow you to Chromecast Netflix from your iOS device to your television. Simply open the Netflix app on your iOS device, and tap on the "Cast" icon in the upper or lower right hand side of the screen. Select the device you want to watch Netflix on, choose a television show or movie, and hit play. Last month, Apple became a Netflix competitor by unveiling Apple TV+. This is a video streaming service that will be available this fall on iOS devices along with certain smart TVs. There will be new, original programming from Apple along with content from HBO, Showtime and others. Could this new rivalry be behind the "technical limitations" that forced Netflix to stop supporting AirPlay? After all, it does seem strange that Netflix was able to support AirPlay for from 2013 until now, just when Apple introduces a service that will compete with it. Netflix, of course, will never admit to this. And regardless what the true reasons are, the bottom line is that iOS users will have to resort to the aforementioned alternatives if they want to cast any streaming Netflix content from their iPhone or iPad to their smart TV. To be honest Netflix is getting worse. Very limited streaming titles. It would be great to have older movies that can ave streamed, such as all of Marvel and DC. Since Disney now own the rights to the vast majority of Marvel characters you won't see much on streaming services, especialy once Disney's own service launches. What's up these click bait titles lately? PA don't bring yourself down in the eyes of community. It could be that Apple is purposely trying to restrict Netflix from using it, making Netflix jump through ridiculous hoops if they want to keep on using Airplay, in order to push their own service ahead. We all know they've done it before. You can almost read that as "we can't be sure if DRM and HDCP is implemented properly on those new AirPlay devices". Suppose they don't have an Apple TV? Not everyone has a TV with Netflix. Also, netflix only allows you to have so many connected devices to an account. So if I have use them all, then Airplay is simply an option. Without Airplay on Netflix, its basically will force millions to just use what Apple is offering now. Just because you have options, doesn't mean everyone does. Airplay is proprietary garbage, that doesn't do anything that standard options can't do. It's just designed to work only with Apple devices. All so they can charge money. Airplay is outdated. Get a Chromecast and stream in 4k. "All of a sudden" should never appear in professional writing. That sentence should say "AirPlay would suddenly no longer work with Netflix." This site still needs to hire a real editor.